On my last day at Fuzzco, in the first week of January, I played a little prank that I completely forgot about, and it took an entire year to pay off. 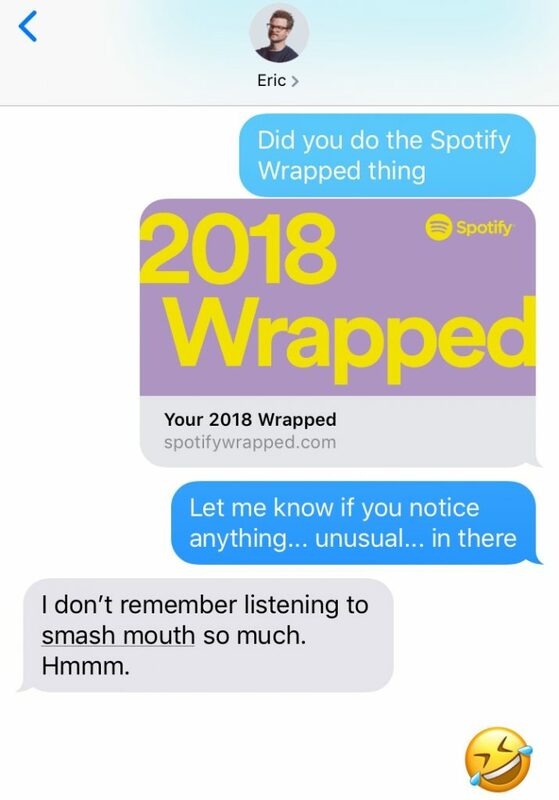 Before walking out the door, I set the office Sonos on repeat, playing one song endlessly overnight, Smash Mouth’s “All Star.” And because I’d already disconnected my Spotify account, I used someone else’s, the Spotify account of my friend, Eric R. Mortensen, the talented designer behind 10×18. 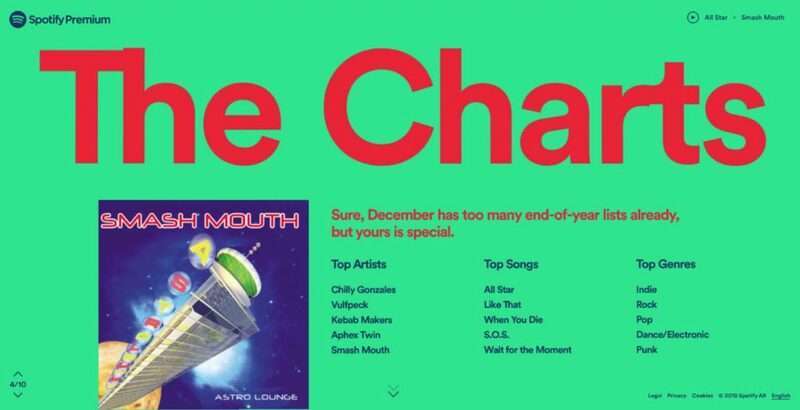 Today, Spotify released Wrapped 2018, their annual look back at your top songs and artists over the past year. I completely forgot about the prank, but my Fuzzco friend Kate reminded me, so I checked in with Eric. Only shooting stars break the mold.